To be organized in Chaves, Portugal, by the IAH Network on Fractured Rock Hydrogeology, the IAH Portuguese and the IAH Spanish National Chapters, between 5 and 7 June 2017. The conference aims to join the groundwater specialists in fractured rocks around the world and will have a session dedicated to honour the memory of our colleague Jiri Krásny, who was the main inspire of these meetings and was the founder of the Commission that was the origin of actual Network. The congress will take place in the beautiful city of Chaves in the Forte de S. Francisco Hotel. The main airport closer to Chaves is in Oporto (Porto Airport). The Airport of Lisbon can also be a good solution. There are planes each hour from Lisbon to Oporto Airport and several diary trains, as well as buses. The transport from Oporto to Chaves must be done by bus, or by renting a car. 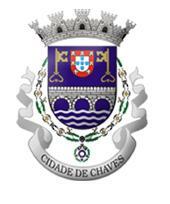 We will provide a bus from Oporto to Chaves on the 4 June. The bus will leave at 18h30 (6:30 pm) from Oporto city (meeting point to be announced) and stops at Oporto Airport at 19:00 (7 pm). Inform us of your intention to be picked up in Oporto and if you want to leave from the city or the airport. NEW: There will be a bus available to transport participants from Chaves to Oporto on the 7 June. The same will most probably arrive to Oporto at around 19:00 to 20:00 (7 to 8 PM). Here are some suggestions where to stay in Chaves. When booking please inform that you are attending GwFR2017.